A little round kereru (New Zealand pigeon). Needle-felted from 100% New Zealand wool, she's approximately 4cm in diameter and hangs on a linen thread. She is mauve and green with a plump white chest. As each little kereru is hand crafted, it may differ slightly from the one pictured. 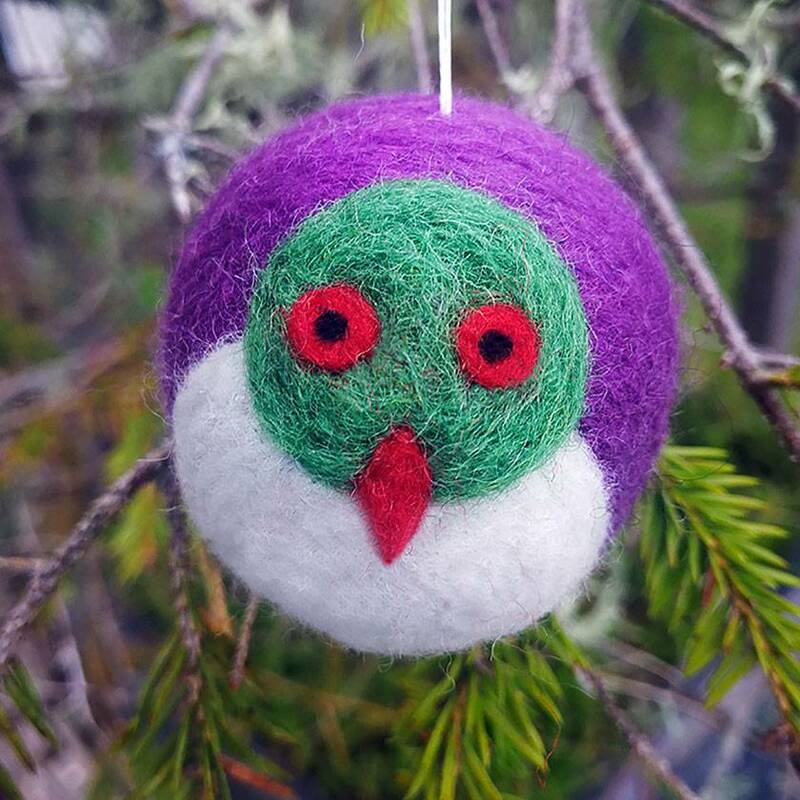 Please see my other listings for more felted Christmas decorations, from traditional robin red breasts and plum puddings, to pukeko and kereru for a Kiwi Christmas. Contact jinglebugs to enquire about payment or shipping options.